Edinburgh Diary Number 5 and a half! Sorry but we got a lovely half a page in the Scotsman … a really nice review which I will send the link to when it goes online but I thought it was worth mentioning it as soon as possible for people here in Edinburgh who have children and are wondering what to do with them this weekend … wonder no more! Assembly, George Square Gardens at 12.50 … be there or be Un-Nogged! Great to hear of your success in Edinburgh. 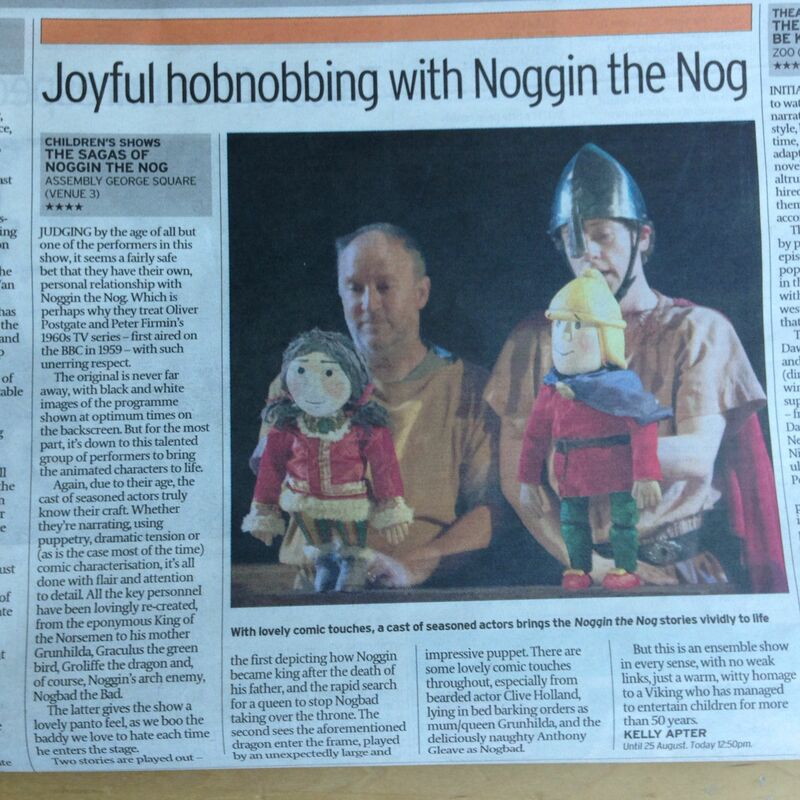 Well done, Nogs!